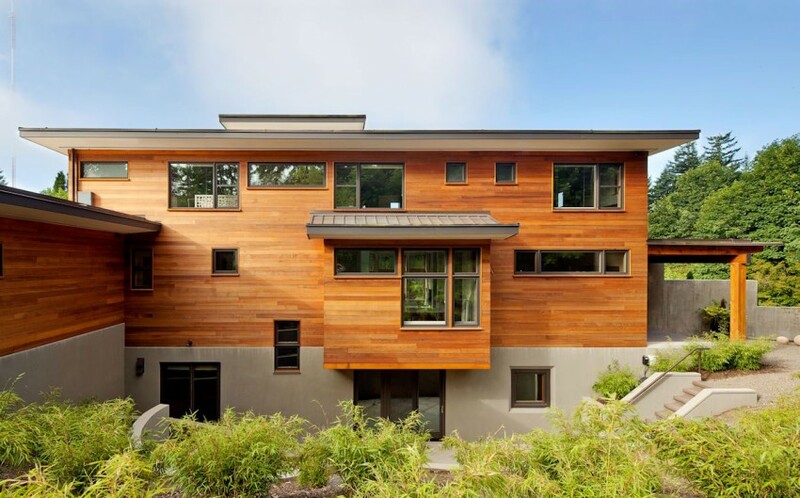 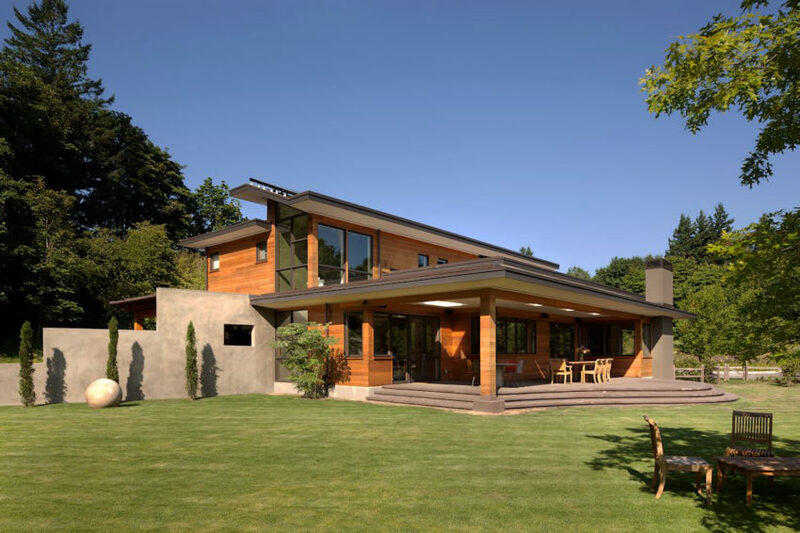 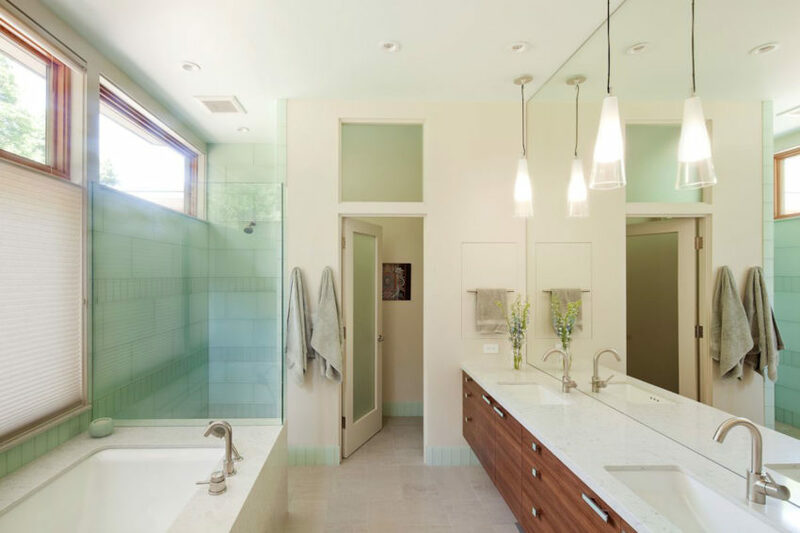 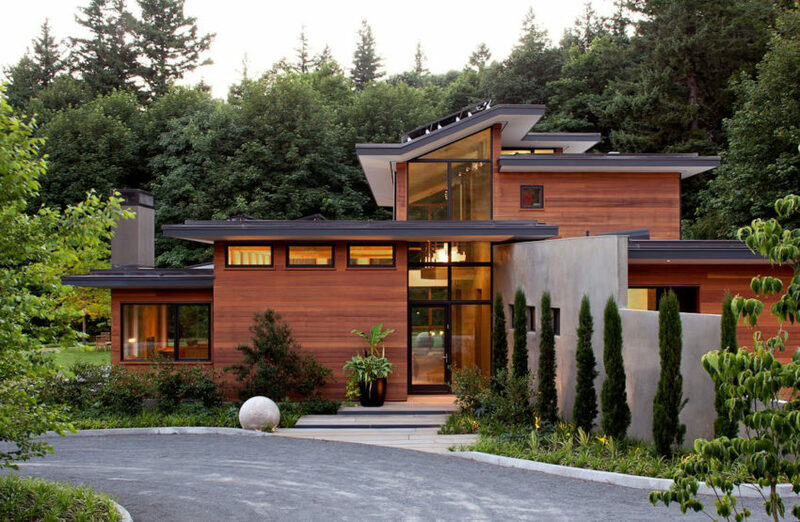 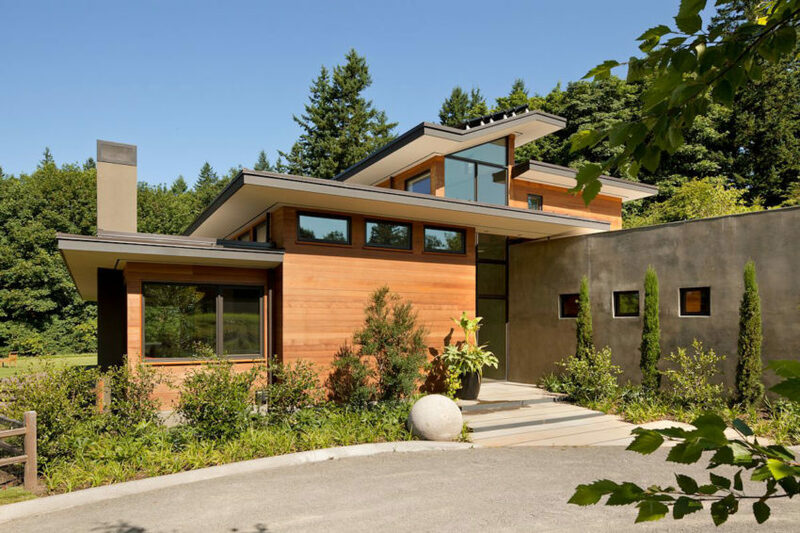 Portland Skyline is a residential project completed by Nathan Good Architects. 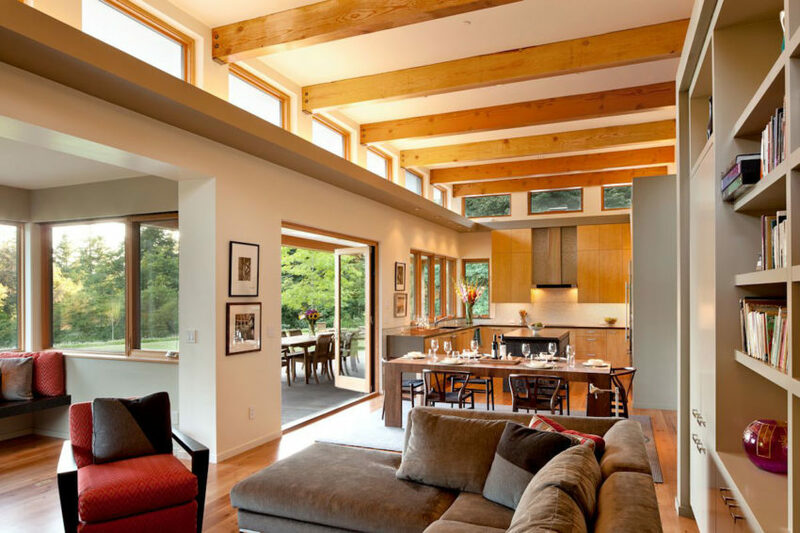 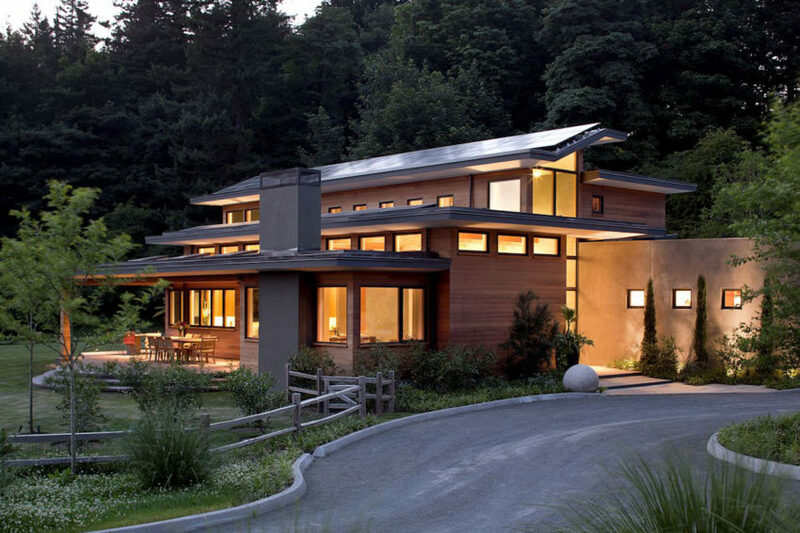 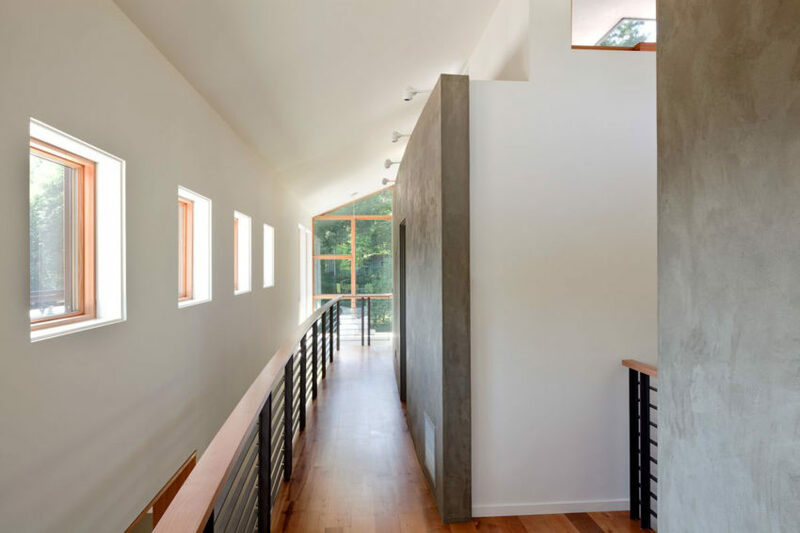 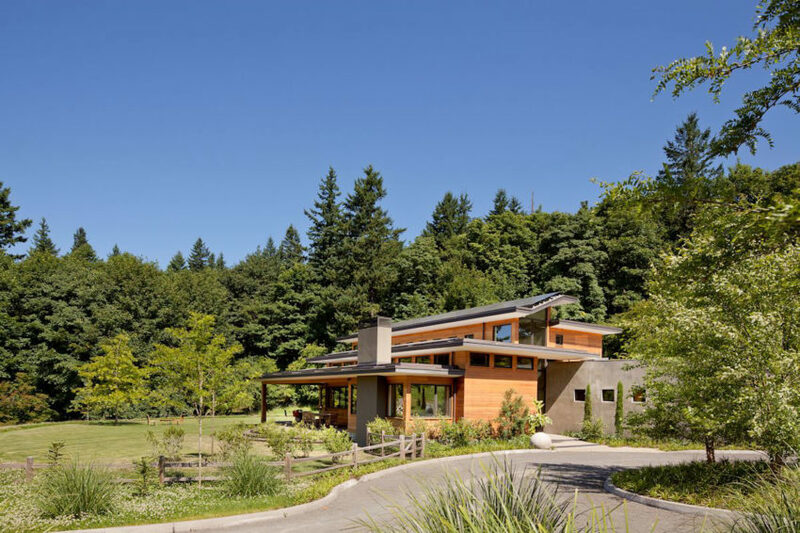 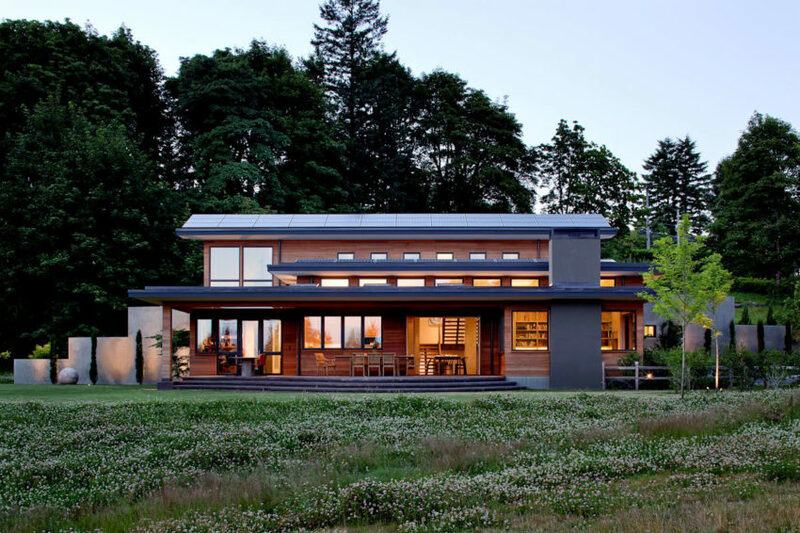 “Nestled in the hills just to the west of Portland, this elegant home for a family of five is a good example of blending environmental building performance with aesthetics. 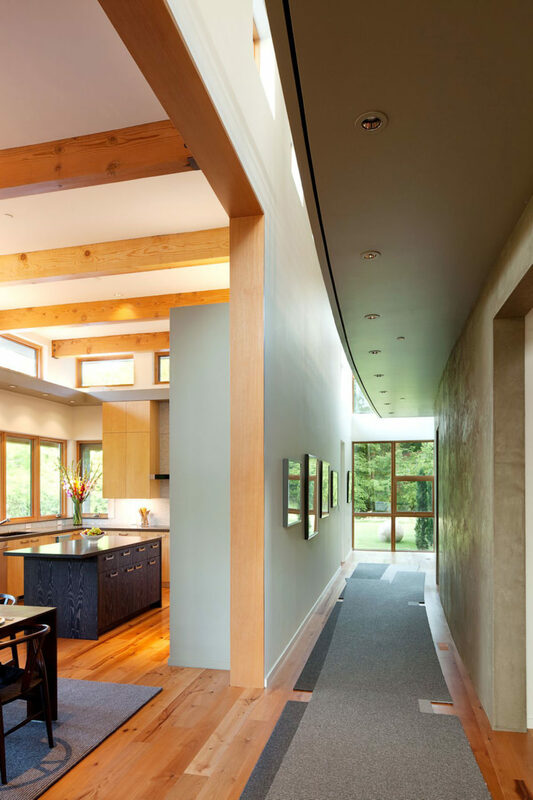 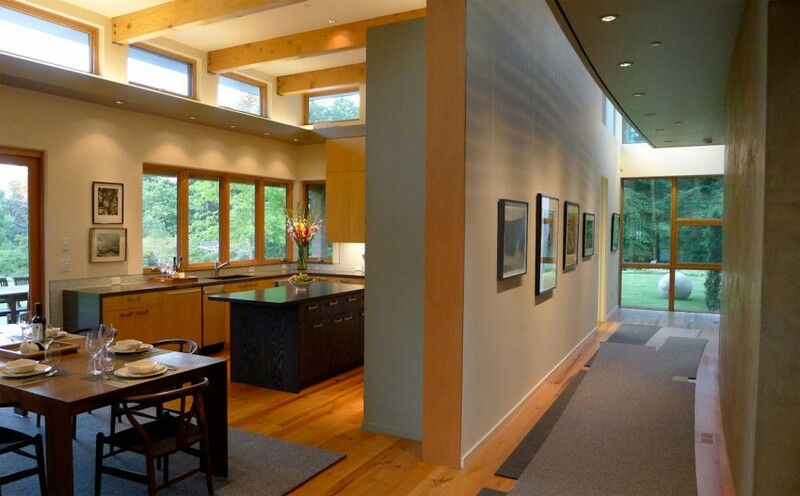 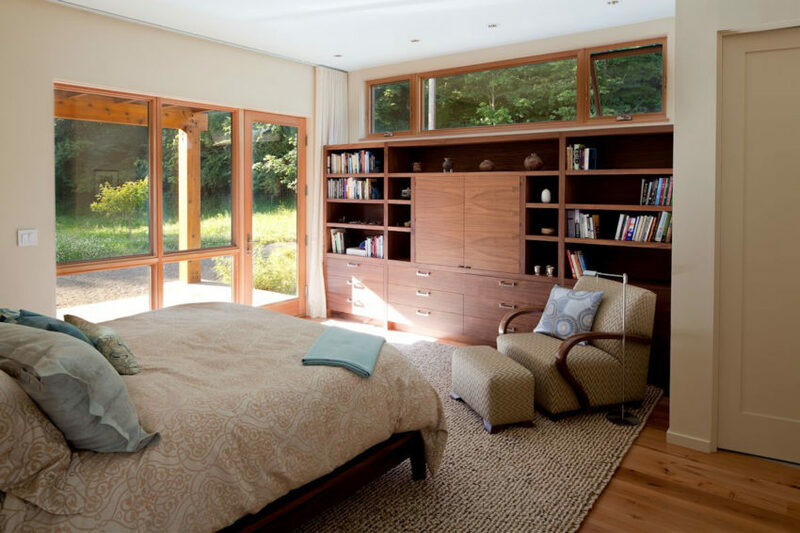 Our clients requested an abundance of natural light, views from throughout the home to the yard to the south, uncompromised indoor air quality, the use of natural materials, and a home that would generate as much energy as it consumes on an annual basis.